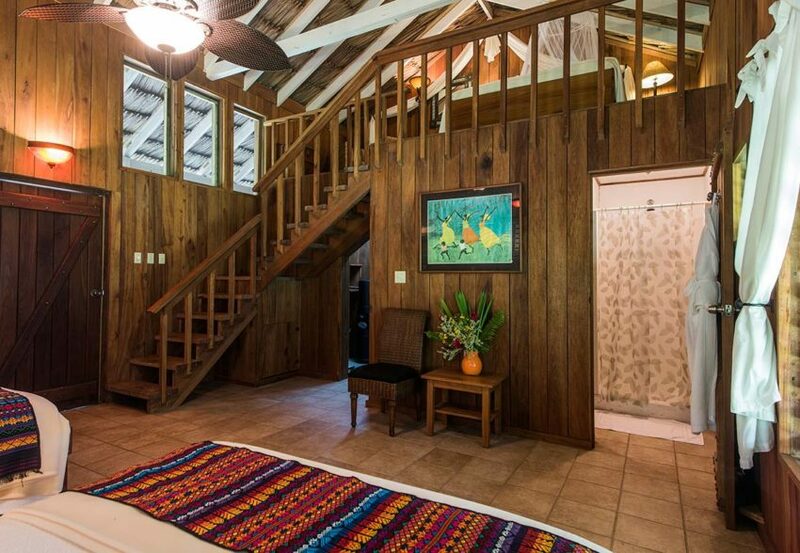 Belize’s Chan Chich Lodge is a must for eco-travelers seeking great birding and luxurious accommodations. It’s got a bunch of big cats too. 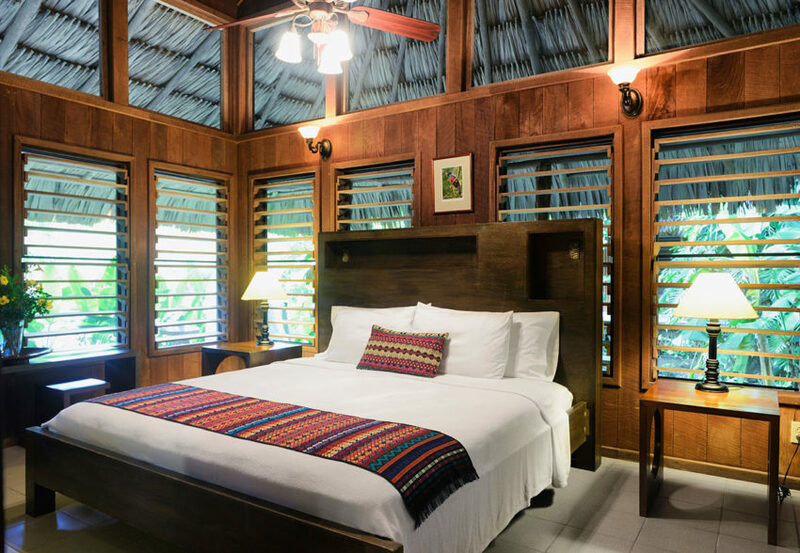 The Lodge sits on the plaza of an ancient Maya city amidst 130,000 acres of private nature preserve in Northwestern Belize. 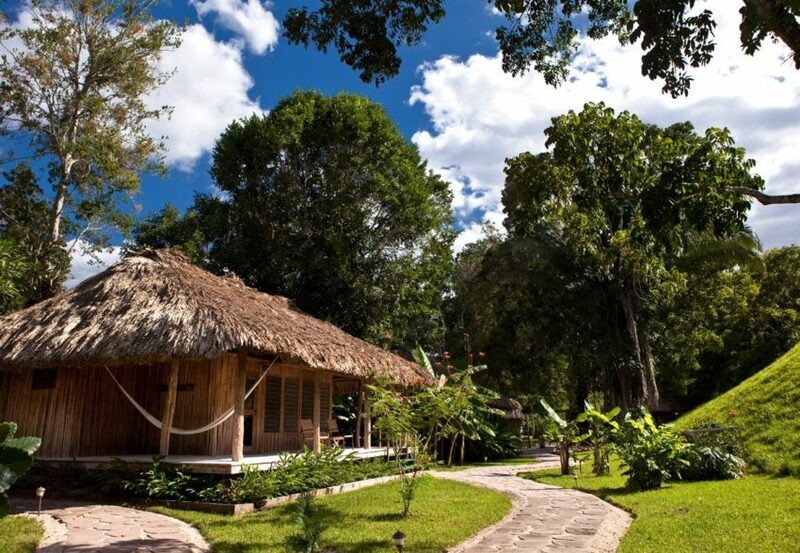 Stunning situated in the plaza of an ancient Maya city and surrounded by pristine forest the lodge consists of 12 individual thatched-roof cabanas and one beautifully appointed 2-bedroom Villa. With a screened-in pool and Jacuzzi, fully stocked bar and excellent cuisine, your every desire will be fulfilled by the exceptional facilities and outstanding service we grant. Come and retrace the footsteps of the Maya, wander our extensive trail system and discover the unforgettable flora, fauna and Maya history unique to this tropical paradise. With an unparalleled abundance of wildlife (and the best chance to see the exclusive jaguar in its natural habitat) Chan Chich is an extraordinary destination for naturalists, birders and for those seeking an authentic retreat to the jungle. Wrap around veranda with hammock, chairs and futon for lounging.